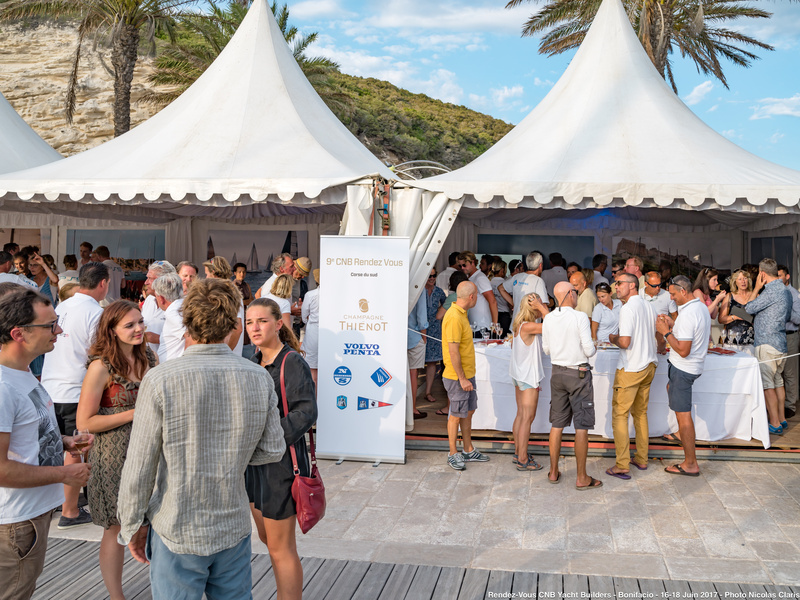 Twelve boats including five Bordeaux 60s, five CNB 76s and two one-offs met in Bonifacio on June 17 and 18 for the 9th edition of the CNB Rendez-Vous, the rally of the CNB yacht builders family. While some owners have an impressive sailor’s CV, this is not a regatta weekend. Placed under the seal of conviviality, the CNB Rendez-Vous’s goal is to enjoy a privileged weekend amongst the owners and the various representatives of the yard in an idyllic setting. 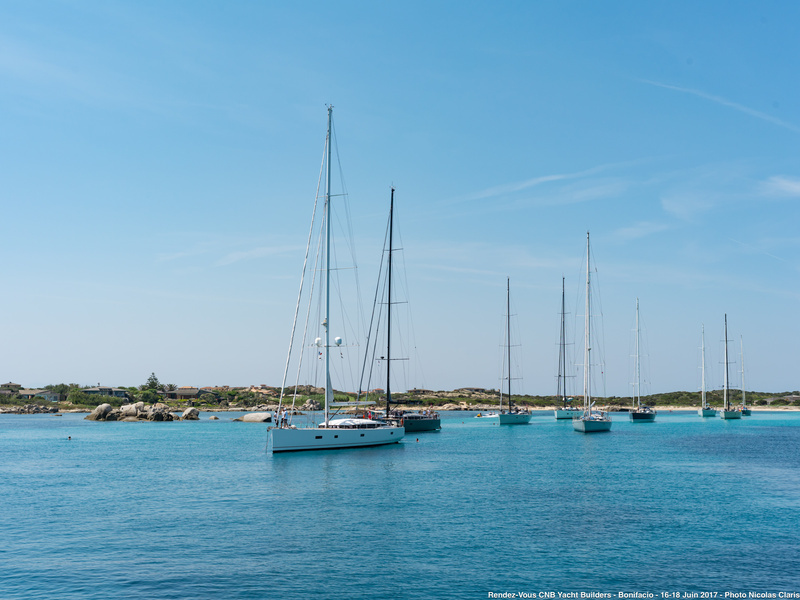 Although Aeolus had been quite whimsical on Saturday morning, all the ingredients were gathered to offer the owners a dream-like mooring under the Corsican sun at the Cala di zeri on the protected island of Cavallo. A slight breeze rising in the afternoon allowed the sailboats to unfurl their sails to rally in the Gulf of Sperone under spinnaker. Cocktail and dinner completed this day of delight at sea. Ideally located on the beach at the head of the Gulf of Santa-Manza, the evening enabled the participants to recover from the emotion and to prepare the next day announced with 20 knots of wind. 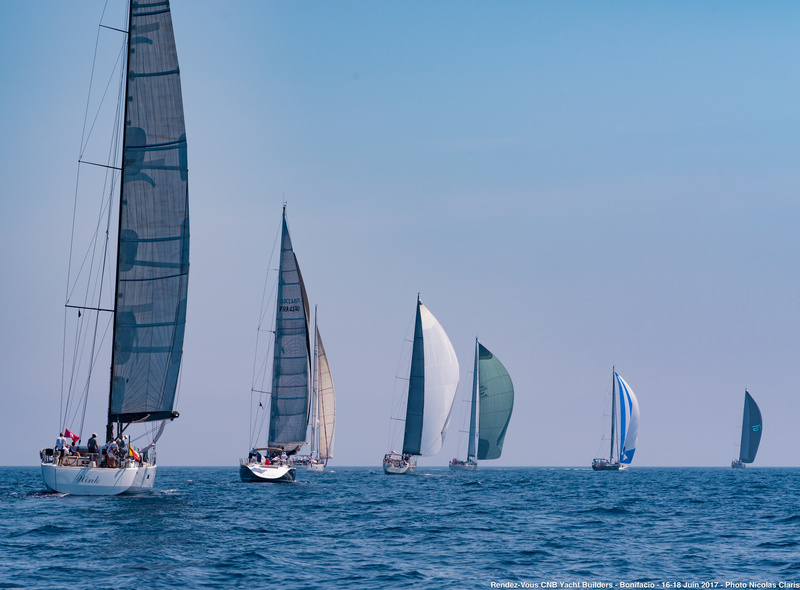 On Sunday, two races with a flat sea and exceptional conditions were organised. On this occasion, the crews were able to highlight their ability to hoist and control their whole set of sails. This weekend was closed by a ceremony on the main quay of our host, the port of Bonifacio, where the CNB 76 n ° 8 Playstation was awarded the prize of elegance, thanks to her beautiful metallic paint and her crew dressed in white and turquoise. 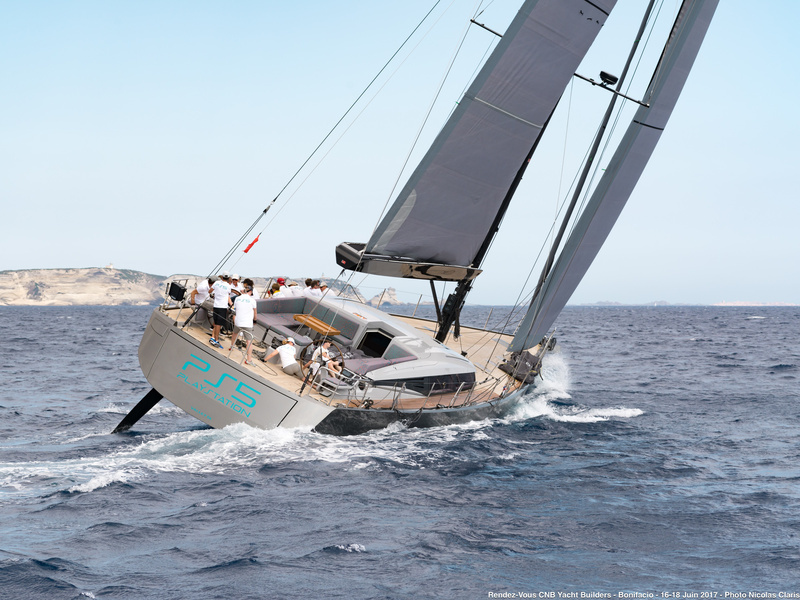 A second prize, named after our flagship architect, Philippe Briand, was awarded to the crew of Bordeaux 60, Païkea. The latter sailed during the event with two people, highlighting the fact that sailing with a short-handed crew on CNB yachts is not an issue. Of course, this event would not exist without the help of our sails partners, North Sails and Incidences, who gladly gave a hand to the owners, the Champagne Thienot House in bringing about unforgettable moments and Volvo for its unfailing support in the absence of wind. Everyone now awaits the 2018 edition!